Big Camera and a Whirler! Feeling Lucky, Steampunk? 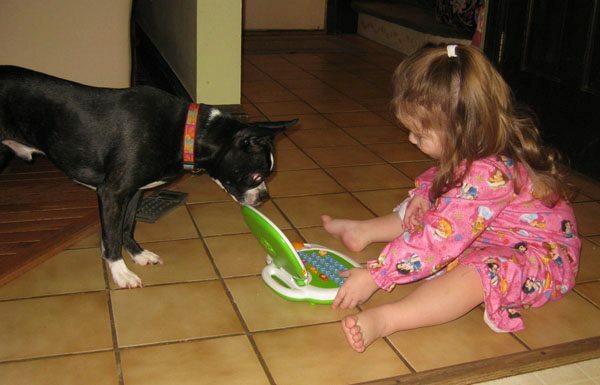 My grand-daughter Maddie shows Murphy how to surf the Net. Maddie, You and Murphy have made me happy so many times. There has to be more descriptive words for you beyond precious, beautiful and amazing, but for now those will have to do. Thanks, Sandra! Maddie and Murphy are a hoot; no doubt about it. Yesterday, Patty met Neenie, Maddie and Sophie at the library in Columbia, Maryland, and came back with some wonderful photos and videos. I’ll see if I can’t post some in a day or so; they’re on Patty’s iPhone and I’ll have to have her send them to me.